Throughout the long history of humanity, rivers have always been recognized as the “cradles of human civilization”. Meandering through time and place, the great rivers also witness the evolution of human society. Today, large cities with growing population develop vibrantly along major rivers such as the Nile River, the Tigris-Euphrates Rivers, the Indus River, the Ganges River, the Changjiang River, the Yellow River, the Rhine River, the Danube River, the Volga River, the Amazon River and the Mississippi River, etc. As the society progress, we become more aware of the significance of the great rivers and the need to explore better ways to co-exist with the rivers in the spirit of sustainable development. 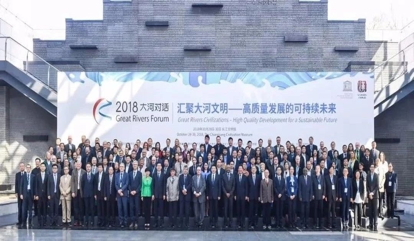 The Great Rivers Forum is a biannual event that serves as an international platform for dialogues among experts and managers from various disciplines and origins, anchored in the values promoted by the 2001 UNESCO Universal Declaration on Cultural Diversity. The forum offers a unique opportunity for participants to exchange ideas and share experiences. The engagement in this cooperative efforts of sister cities and UNESCO networks – including World Heritage sites, Creative Cities and Biosphere Reserves, and also Ecohydrology demosites – contributes to boosting high-quality development along great rivers, paying particular attention to their ecological and cultural environment. 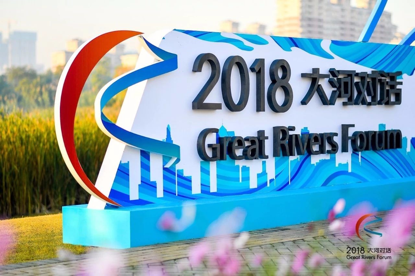 Moreover, participants and partners have the opportunity to explore the roles that great river civilizations play in working towards a more sustainable world, leaving no one behind. Add: 8 East Rd., Garden Expo Park, Wuhan, 430010, P.R.China.